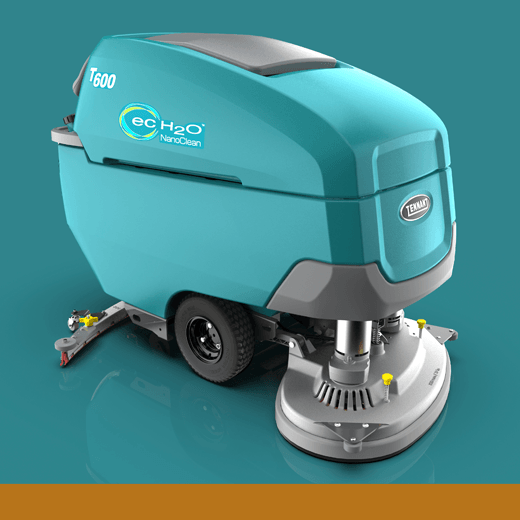 The T600 is a walk-behind commercial floor scrubber. It features on-board generation of a cleaning solution that does not require additional chemicals or detergents. The design emphasizes ease of use by integrating training aids such as color-coded controls, maintenance touchpoints and useful features such as trash bag and spray bottle holders. A touch-screen interface allows operators to create and save preset machine settings and watch instructional videos about machine operation and maintenance. Designed by: John Ickes, IDSA, Frank Sterpka and Toufong Lo of Tennant Co.